While he admits that they share the same passion for music, Bamboo Manalac refuses to be romantically linked to Sarah Geronimo. A lot of fans are saying that Popstar Princess Sarah Geronimo and rock star Francisco “Bamboo” Manalac make a good pair as they performed a lot of amazing duets, including their own version of “Just Give Me A Reason” and “Iris.” The two first performed together during Sarah’s concert at the Big Dome last year followed by Bamboo’s guest appearance on Sarah G Live and later on a number on ASAP. 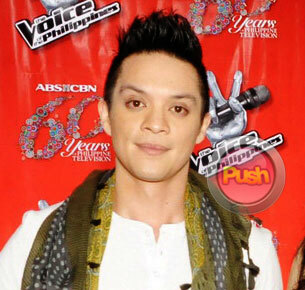 When asked how he feels about being romantically linked to Sarah, the former lead vocalist of the bands Bamboo and Rivermaya was quick to shy away from such showbiz queries. “I don’t even know how to answer that. I’m not ‘showbiz’ guys. I don’t know how to answer that thing. But I can say that we have great chemistry on stage, we perform well. That’s a special thing,” he said in an exclusive interview with Push.